To receive this award in our first six months of operation is a great endorsement of our Mission to Inform which is now receiving national recognition. I would like to offer our congratulations to the event team for a very well organised award ceremony, I would say one of the best I have been to. The venue was inspiring and I am looking forward to reading the entries of the winners as I am sure there are ideas that we can use to improve our business. Very many thanks. I enjoyed the evening very much, particularly the opportunity to meet the brewers of some of my favourite beers. 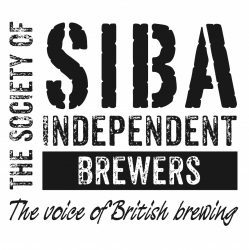 Just to say on behalf of Isle of Skye Brewery that we very much enjoyed last week’s ceremony at The Institute of Directors. An excellent evening, and of course a good result for us! Many thanks for your splendid organisational efforts and for hosting such a fine event.